Resolution Design and Development: providing quality graphic design and website design and development services to Eugene, Oregon and beyond. Resolution Design and Development specializes in creating custom-designed websites and web-based solutions. Every project is engaged with personal, individualized attention and a flexible approach. With 22 years of experience in professional web design, we have the expertise to help your business gain the most from the web – whether you're just starting out or have a complex site with specific custom features. When your website needs more than what's provided by pre-built templates and turnkey systems, come see what resolution we have for you. 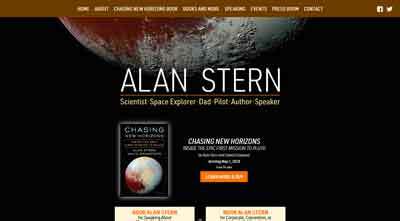 Dr. Alan Stern is a planetary scientist, space program executive, aerospace consultant, speaker, and author. He leads NASA’s New Horizons mission that explored the Pluto system and is now exploring the Kuiper Belt—the farthest exploration in the history of humankind. He has twice been named to the Time 100. Resolution Design created a website to help promote Dr. Stern's work as an author and speaker. 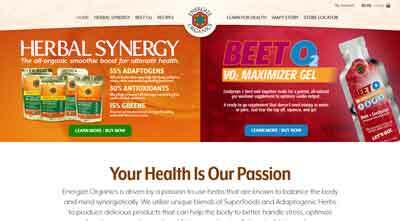 Energize Organics creates unique blends of Superfoods and Adaptogenic Herbs to produce delicious products that can help the body to better handle stress, optimize organ function, recover from adrenal fatigue, and naturally boost athletic performance. In 2017 Resolution Design helped Energize Organics refine their branding with a product packaging redesign and full website overhaul. 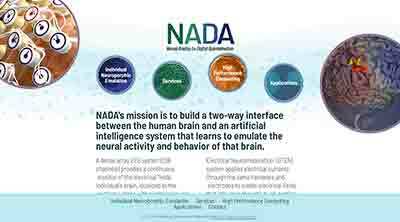 NADA's mission is to build a two-way interface between the human brain and an artificial intelligence system that learns to emulate the neural activity and behavior of that brain. Resolution Design created a custom-designed website for this neuroscience company, along with basic branding. Subtle animation is used throughout the site, inspired by analog brainwaives and their digital counterparts. 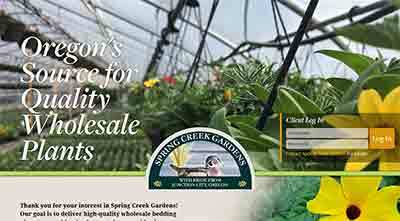 Providing high-quality wholesale plants grown with sustainably responsible practices, Spring Creek Gardens of Junction City, Oregon needed to modernize their website establish an online order system. Resolution Design developed a one-page public-facing website featuring information about the nursery, and developed a web app integrated with their existing database to enable online order placement for wholsale customers. 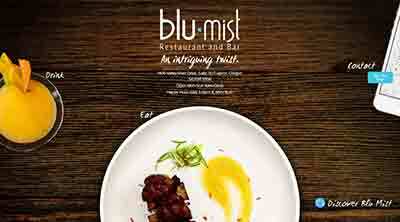 Blu Mist presents an exciting offering of Thai fusion cuisine. Aiming to be something unique and different for the Eugene/Springfield area, Blu Mist needed distinctive branding and a website that would help present the restauraunt as a distinctly different experience. Resolution Design created the restaurant's branding, website, menu design, and marketing collateral to help launch this new addition to Eugene's dining scene. Ta Ra Rin is recognized as Eugene's best Thai restaurant consitently since 2008. 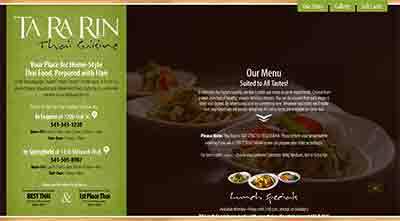 In 2016 Resolution Design launched a newly redesigned website for Ta Ra Rin, focusing on ease-of-access to their vast menu and essential information for their two restaurant locations. The new website fully utilizes responsive design techniques to deliver a customized experience for visitors on desktops, tablets, or mobile devices. 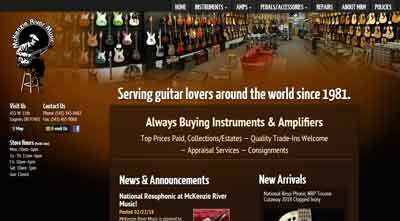 McKenzie River Music was established in 1981 in Eugene, Oregon and has become both a national destination for professional and aspiring musicians, and a central part of the local music community as a whole. Resolution Design created a custom-designed responsive website for MRM which includes a content management system tailored to help make maintaining their online inventory a smooth and simple process. Nancy Phillips’ high-quality jewelry designs have been sold through establishments such as the Golden Door Spa and Neiman Marcus. Resolution Design has worked with Nancy to elevate her brand through logo redesign, print advertising, and design/development of an elegant website to showcase her distinctive collections and one-of-a-kind custom pieces. 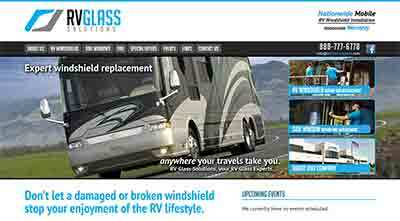 Founded in 2003, RV Glass Solutions provides nationwide recreational vehicle glass repair and replacement services. Resolution Design redesigned the RVGS website in 2015, with a responsive design layout that helps their customers access website features quickly and easily from their home computers or while they're on the road. Resolution Design also works with RVGS to develop web-based tools and systems for their internal operations. © 2013-2019 Resolution Design and Development, LLC. All rights reserved.